Harvestime supplies a full range of quality packaged frozen fruit and purees to the Hospitality sector through selected Foodservice Distributors. Harvestime foodservice products have been satisfying the most discriminating patrons of restaurants and other foodservice operations for many years. Our premium quality products are available to meet the unique operational needs of foodservice operators. 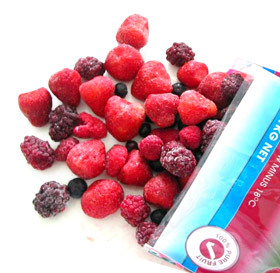 Whether you prefer frozen fruit packed into 1kg boxes or our more economical 1kg bags, Harvestime can deliver best quality and competitive pricing every time. Refer to Harvestime’s product range.